It is with a deep sense of sorrow and loss that our family announces the passing of our mother Doreen after a short battle with cancer. She was a wonderful wife, mother, grandmother, great grandmother, sister and friend. 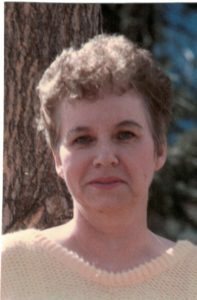 Doreen was born in Edson, Alberta on June 5, 1933 to Burnett and Katie Cooper and passed away in Kamloops, BC on May 29, 2018 with her family at her side. Survived by her 6 children, Gerry (Lisa) Hodgkiss, Ben (Brenda) Hodgkiss, Darrell (Cathy) Bliault, Terry-Lee (Terry) Parr, Walter (Maureen) Bliault, and Sandra (Dennis) Zaffino. Missing their grandma are Angela, Terry, Amber (Brad), Alex (Samantha), Spencer, Matthew (Steph), Jason, Kelsey (Lance), Rachel (Zak), and Jared. Missing their great grandma are Shawn, Brinlee, and Layla. She is also survived by her sister Catherine, along with many nieces and nephews. Predeceasing Doreen were her husbands, Andrew Gerald Hodgkiss (1954), and Lloyd Walter Bliault (1997), along with her parents, five brothers, and four sisters. Doreen was an inspiration to her family, always putting everyone ahead of herself. She kept a strong faith that was very important to her, and always kept the Lord dear to her heart. Mom would stop the world to ensure that her family was taken care of, always offering kind words, or standing at their side whenever needed. She taught her family to love one another, and as her life drew to an end, she was satisfied that she had done just that. 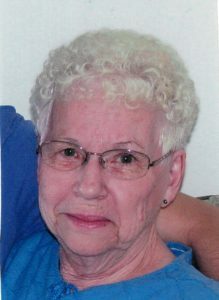 Mom lived at Cottonwood Manor for the past 17 years, volunteering for many functions, enjoying the company of her many friends over a cup of coffee, and we know how much you all meant to her. So sorry for your loss Gerry, Lisa and Spencer, her children and their families. I didn’t know your mom personally Gerry but you always spoke of her with much love. She will be sadly missed by all your siblings and their families but you all have many wonderful memories which will help you in the future and she will always be with you in your heart.